It is an apartment of about 110 m2, just completely renovated, so very comfortable, comfortable and clean, with 3 large bedrooms, with 6 beds, 2 bathrooms with shower (important for families or large groups), well-equipped kitchen ( with everything you need to cook such as a refrigerator, microwave oven, coffee maker, dishes, plates, glasses, cups, pots, etc. ), and a spacious living room. The entrance is on the ground floor and a small flight of stairs leads to the first floor. The bathrooms are completely renovated with quality material in Calacatta and other high-level tiles. Upon your arrival we will wait for you at the vaporetto stop, we will take you to the apartment (only 4 minutes on foot), we will show you the apartment and give you the keys. Great apartment in probably one of the best locations to stay in Venice. If you want to be far enough away from the throngs of tourists, but close enough to walk comfortably to all the attractions while enjoy some of the local haunts right at your doorstep, then this is the place for you. 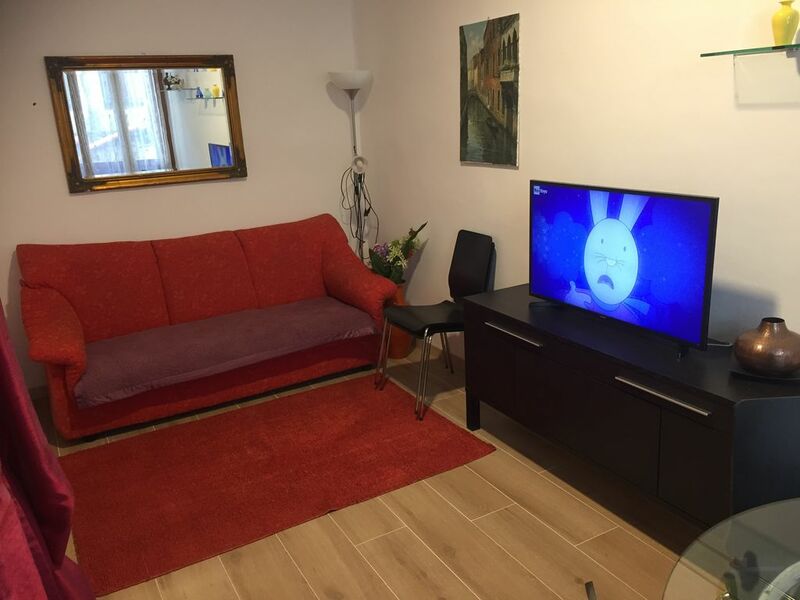 Lovely apartment, recently refurbished and very clean. It was the ideal place for our grown up family to spend a long weekend together in the most beautiful city in the world. When we arrived at our local stop, from the airport, Amelia was there to greet us, as promised! It was a quick walk to the apartment. The apartment was spacious and well equipped for 4 people. Beds were very comfortable...bathrooms/showers were excellent and user friendly. We enjoyed the neighbourhood and the proximity to the many places we wanted to visit. The walk to San Marco took about 20 minutes, longer if you meandered...which we did at every chance! Grocery shopping was nearby, about a 5 minute walk. If we were to return to Venice, we would stay here again in a minute!! Very nice people, very friendly and kind. I do thank them so much and i do hope to still have them as my guests again in the future. Beautiful, well-appointed apartment with everything you need. Fabulous location. They very kindly met us at the water taxi stop and showed us to the house. There's a mosquito problem in the house. We kept all the doors and windows closed and still had to get up a couple of times a night to kill the mosquitoes in the bedroom. We were covered by bites and never slept more than a couple of hours at a time because of the mosquitoes. Other than that, the space is fine - it's clean, the plumbing works and the the kitchen is adequate. The linens and towels were all provided and clean when we arrived. The neighborhood is quiet. actually i can not fight against Mosquitos. It's out of my human power. Bytheway, thank you so much for your nice words regarding the apartment. We loved this property! It was on a quiet side street that was wonderful for getting away from crowds. The owners sent someone to meet us right off the ferry which was very nice! I definetly recommend this property. The apartment is located in the true historical center of Venice, in a very quiet area but at the same time only 3 minutes walk from the main tourist routes. Cannaregio is considered as the most Venetian in Venice's neighborhoods (sestrieri) where you can still experience the real Venice, with several supermarkets, main shops, restaurants, bars and even an open-air fruit and vegetable market just 3 minutes away feet from the apartment. It is very easy to get there from the airport with a direct water-bus service that will take you to the ORTO (Madonna dell'Orto) stop in just 28 minutes.